Ensure the well-being of your animal with pet care services, including grooming and boarding, from our animal hospital in Philadelphia, Pennsylvania. Newly renovated, Bree's Animal Hospital provides plenty of space for you and your pet to feel comfortable, including a number of roomy cages for when your pets stay with us. At Bree's Animal Hospital, we accept both appointments and walk-ins to help you with any issues you have with your pet. From our vaccines and exams to our orthopedic and surgery services, our doctor works hard to help your pet maintain his or her health for a lifetime to come.. Your pet will be happy and comfortable when he or she stays with us. We provide all of the food your pet needs, unless your pet is on a special diet, and we make sure that your pet gets let out at least 3 times a day to exercise. 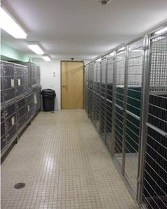 We are sure your pet will find our beautiful kennels the perfect home away from home. We have a veterinarian and personnel on duty 6 days a week who are trained and equipped to handle any urgent care your pet has. 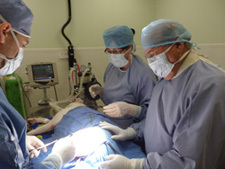 Usually an emergency team consists of at least one veterinarian and several technicians working together to save a pet's life. Emergencies can be things such as rat poisoning, hit by car, and chocolate ingestion. If you ever feel that your pet needs emergency treatment do not hesitate to call or come in immediately. If possible it is best to call before coming in so that a team member can advise you on your particular emergency. Bree's Animal Hospital offers discounted services to military, fire and police. Please call us for more information.